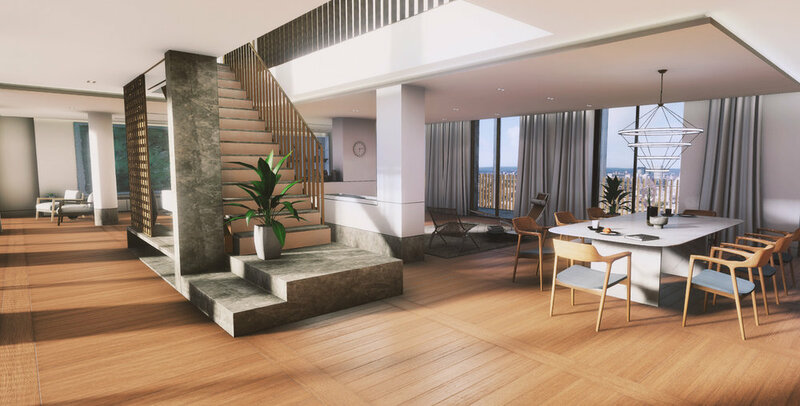 Fitzroy Penthouse VR was an interactive arch viz project developed in-house for The Neighbourhood Ltd. in Unity 5.5. The final product presented users a luxury penthouse in VR (HTC Vive / Oculus Rift). Users were able to teleport around the location and interact with various elements (open balcony doors, use white goods etc.) Additionally the product supported multiplayer allowing a 'host' to guide participants around the location. Integrating multiplayer functionality via Photon PUN. Ensuring project ran at stable 90fps on target hardware. Extending VRTK with custom functionality.